July 2016 - Whiteboard Consulting Group Inc.
Why Leaders Should Download PokemonGo. What the &$^# is a Pikachu? It started with a few photos on Facebook. Cartoons and acquaintances of mine were popping up in photos together on my newsfeed. I figured it was random or a super geeky thing I didn’t need to know about and then the posts started getting more cryptic….friends were “hunting” Pokemon? Pokemon were screen-capped sitting on friends’ laptops and posted to social media and I was very very confused. Even the University Health Network here in Toronto posted a chart on how to play safely. Wait what? Then the naysayers started emerging. Nasty tweets and posts popped up about how stupid it was. While sending a text during my morning dog walk the construction worker doing road paving near my house said “Ugh. Tell me you aren’t looking for Pokemon? That is the dumbest thing I’ve ever heard of”. News stories broke out about PokemonGo related injuries, accidents, along with the instant rise of Nintendo’s share price. I thought, wow, I’m not really interested in phone games, but the concept sure does sound neat. So I downloaded it. Much like Snapchat I didn’t get it right away. (My good friend Jamie told me that it was so old people couldn’t figure out how to use it. Hmph.) But I figured a few things out. I caught a few Rattatats and Zubats. Then Ruth downloaded it and we went for a little break. We had quite a blast, and I learned a few things too! So while I hate to admit it, it’s kind of fun. It’s kind of social. It got me outside for a quick walk instead of glued to my laptop. It Will Help You Be Kind and Curious. Remember our famous coaching phrase? Kindness and curiosity leave no room for anger and resentment. Instead of harbouring all that anger and resentment for those cute little cartoon characters, try playing it for 15 minutes. If you hate it, at least you can say why and you can say you tried it, right? Get your kids to teach you, or get your employees to show you how it works. They’ll get a kick out of it. Trust me. It Will Help You Encourage an Active Work Culture. Maybe your office has a lunchtime plank session, or yoga class, or fitness or meditation group. In large organizations that might be possible, but in smaller organizations it might be cost prohibitive to implement a large scale wellness program. This is a great way to take 10-15 minutes out of your day, to get outside as a group, go poke-hunting together, and get some fresh air. 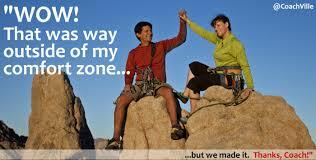 This all being said – boundaries are important. What I love about the UHN tweet is that asks people to be safe and considerate of others, but also jumps into the spirit of things and wishes players luck. If you feel it necessary to set some boundaries in your organization, try to keep it firm and fun, instead of shutting the whole thing down and making people hunt in secret. 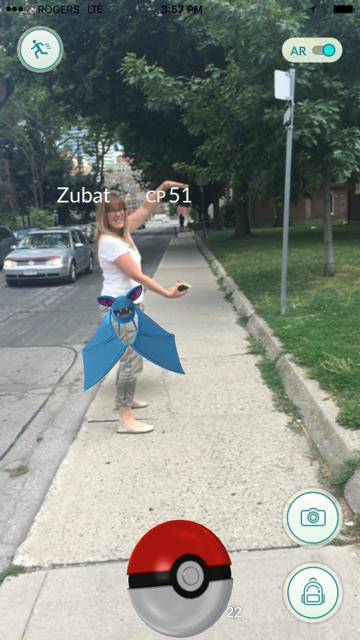 Tell us how PokemonGo is playing a part (or not) in your worklife. Tweet us at @whiteboardcons! Our workshops have helped scores of people improve their coaching skills, and our one-on-one coaching sessions have helped individuals figure out how to become “unstuck” with whatever roadblock is preventing them from getting where they want to go. But what if you’re already a pretty good, even fantastic, coach? You get it, you’re good at it, you practice it, your team is highly engaged and successful, and in fact you’ve been training others to grow their own coaching skills. 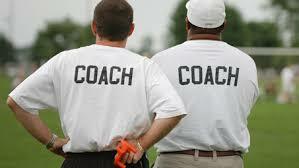 Do you need a coach if you’re already a coach? Doctors need to see other doctors for physicals and prescriptions. Personal trainers have personal trainers to spot them when they lift weight, and push them when they get tired. Physiotherapists see other physiotherapists to manipulate and treat musculoskeletal issues. Lawyers hire other lawyers to represent them (except on TV, where they are VERY good at representing themselves). Therapists get advice and counselling from other therapists. Ministers, Priests, Rabbis, and Imams seek spiritual guidance from others. Edgar has been coaching for 15 years, and is known for his openness, strength, and amazing leadership style. He thought he had seen it all until one of his peers lashed out at him in a leadership meeting, embarrassing him and creating a stressful atmosphere. Edgar knows he has to talk to this person, and is trying to prepare his approach. He’s just not sure how to open the conversation and would like to bounce some ideas off someone. Salome is a senior leader with plenty of coaching experience who feels disengaged and even a little bored at work. She’s not sure what to do and would like some objective guidance. No matter how much experience we have, we can always use some coaching to help us out. And remember, coaching isn’t the same has having coffee with a friend (although that’s always helpful too!) Friends are encouraging and supportive listeners, and can often be biased towards a specific solution. Coaches are also encouraging and supportive, and have NO bias. Therefore, the solution you come up with is 100% yours, and was probably hiding deep down inside your brain somewhere all along.